10. We reach out to other writers. As you study what's out there, you can ask yourself, "To what does that lead?" You can learn to anticipate what the public will read next. For example, I suggested for years that books for retiring baby boomers would be a big thing. So far I haven't seen many books on the topic, but they're definitely on the way. 8. We study the markets. In 2009, I started a series of gift books for caregivers and they've done quite well. I continued to write in that field, but it's no longer my focus because there are already so many people out speaking and teaching. In the summer of 2010, I released my book When a Man You Love Was Abused. So far as I know, it was the first book on the topic aimed at the Christian market by a royalty-paying publisher. The book has done well and I know of several other books on the topic that have gotten a thumbs up because of my book's success. We can't bore readers. Instead, they stop reading. Perhaps that sounds obvious, but too many writers are fascinated with their topic—usually their own lives—and assume everyone else cares. If we write as a form of therapy (and that's valid), and recognize what we're doing, we don't try to push the rest of the world to read our struggles. I told him, but he didn't listen. To find the right publisher, become the right writer. My wife heard all the stories. For several years, she was the acquisitions editor of a devotional magazine. Even though she received a number of such manuscripts, she never found one worthy of publishing. If you're new to the idea of building a million dollar email list, here's a principle that is crucial to success regardless of whether you're an author, business, or non-profit: List revenue follows list growth. People may decide your emails are no longer a good fit and unsubscribe. People may change their email and forget to tell you the new address. People may get enamored with other newsletters and ignore your emails. People may forget to whitelist your emails and your stuff goes into a junk folder. Since you can't control this natural attrition, how do you keep your email list and revenue growing over time? Maintain a focus on constantly adding new subscribers. Your list always needs new blood. This principle was proven by ground-breaking research from Dr. Byron Sharp, the world's leading authority on brand growth and the author of "How Brands Grow." Through exhaustive studies, Dr. Sharp found that the world's top brands, such as Coke, Proctor & Gamble, and Apple, are successful due to a little-known secret. They are superior at expanding their reach and attracting larger amounts of all types of buyers. But it's not the heavy buyers who make the difference. Sure, they have lots of loyal customers. But those companies are #1 because they attract the most light, infrequent customers. They live by the principle of always adding new blood to their customer base. This same dynamic applies to building a million dollar list. Your success hinges upon how well you add new subscribers. Always make this focus your top priority. Attracting new subscribers is based on creating and promoting irresistible incentives. Be ruthless about your incentives. Don't stick with something that isn't working. If you offer a new incentive for 14 days and it doesn't get a strong response, kill it quickly and try something else. Continually experiment with new incentive ideas to find what entices your audience the most. More people to open your emails. More people to click on purchase links in your emails. More people to forward and share your emails. More people to provide helpful research and feedback you conduct by email. More people to test new and buy new products. More people to build a larger list that creates greater passive income. Your car won't run without adding new fuel. Your body won't function without adding new food. Keep feeding your list with new subscribers, and you'll provide the lifeblood to build a million dollar list. May and Can. We might as well give up on this rule because the can-ites won the war. No one seems to have trouble with can, but my guess is that the use of may sounds too formal. In school, most of us learned that may referred to authorization or permission while can denoted physical or mental ability. “May I have this dance?” asks permission. But if you asked, “Can I have this dance?” you inquired about the potential partner’s physical ability. Strict grammarians still insist on may as the polite way to ask for permission; however, for as long as most of us have been alive, either is now acceptable, except in formal situations. This is a case where usage overturned rules. Dropping or keeping the final e in words can be troublesome. Many words end with a silent e— brave, move, late, rinse. The general rule is to drop the final e when you add endings that begin with a vowel. Advise + able = advisable. Guide + ance = guidance. Force + able = forcible. If the final silent e is followed by an ending that begins with a consonant, keep the e.
Like + ness = likeness. Accurate + ly = accurately. Care + ful = careful. In English, we seem to have exceptions for every rule, so here they are. Sometimes, we retain the silent e before an ending beginning with a vowel to avoid confusion with another word. Another reason is to prevent mispronunciation of words, like mile + age to become mileage. To further complicate the rule, we sometimes retain the silent e after a soft c or g. That’s to show that those two letters aren’t pronounced with a hard sound. Courage to courageous, and the list includes changeable, noticeable, manageable, embraceable. One more exception. We often drop the silent e before an ending that begins with a consonant, if it’s preceded by another vowel. True + ly = truly. Argue + ment = argument. Due + ly = duly. Let’s look at sentences that begin with there is or there was. I suggest you avoid using that construction for three reasons. 1. It adds nothing to the value of the sentence. 3. Using that construction means you put the verb before the subject, which is normally not the way we write or speak in English. Here are examples of ways to make your sentences better. There are your keys on the desk. Better: Your keys (subject) are (verb) on the desk. There will be 500 people attending the meeting. Better: Five hundred people will attend the meeting. It was disappointing that Elsa wasn’t nominated. Better: Elsa’s not being nominated was disappointing. Here’s an example of wordiness. There were delays and cost overruns that troubled the tunnel’s builders. Try this: Delays and costs troubled the tunnel’s builders. It was the fear of investors they wouldn’t earn profits once the tunnel opened. Change it to: Investors feared they wouldn’t earn profits once the tunnel opened. For a long time, I was unsure of the correct way to finish this sentence: Helen is shorter than . . . Shorter than me or shorter than I? The proper term for this construction is an elliptical clause. That’s a grammarian’s way to say, “Finish the sentence to get the meaning.” Technically, it means that some words are left out because they’re understood. In the sentence above, complete the thought: Helen is shorter than me am short or Helen is shorter than I am short. If you do that, you'll see that the obvious answer is Helen is shorter than I. Almost as bad is the difference between rise and raise. One way to help is remind yourself that raise is usually transitive. That means a direct object (noun or pronoun) follows. Rise is intransitive (no direct object following). If you can substitute “get up” or “go up” for rise, you know you’re right. Raise means lift or cause to go up. He rose from the sofa. Substitute: He got up from the sofa. (Rose is the past tense of rise). You wouldn’t say she raised from the sofa. Lie and lay are probably the most troublesome and wrongly used words I see regularly (or hear in conversation). As you probably heard in school, lie means to recline; lay means to put. 1. If you will remember the principal parts of the verb (present, past, and past participle), you can’t go wrong. They are lie, lay, and have lain. 2. No form of the verb lie is followed by a direct object (noun or pronoun). That is, you can’t lie a book down. The problem for many is that the past tense of lie is lay. Some writers can’t remember that and write, “He laid down to rest.” They mean he was put down to rest. Does that mean they killed him? Somewhere I picked up this tip. Memorize one simple sentence where you use lie and lay. Try this: Hens lie down to lay eggs. A friend learned by repeating this simple statement to herself: You lay something down, and people lie down by themselves. Is it until? Till? ‘Til? That’s an easy one to remember: Till and ‘Til are both acceptable today, but many of us still prefer until. What about beside and besides? Both are prepositions but with different meanings; they’re not interchangeable. Beside means at the side of or close to. Besides means in addition to. Here are examples of the correct use: I park the car beside the house. Who is going to ride with me besides you? Many writers are troubled over due to (and I used to avoid it). Think of the two-word phase meaning as caused by. An easy rule is to use due to only when you can logically substitute caused. Burst, bust, and busted. Despite the common usage, the standard form for the present, future, past, and past participle is burst. He burst the balloon. He will burst the balloon if he isn’t careful. Yesterday he burst six balloons. This is one of those rules that will probably change, but for now . . . Etc. I see this occasionally and my rule is don’t use it. It’s an abbreviation of et cetera, which means and so on. Try the expression, “and others.” (I avoid “and so forth” because it has become cliché). Here’s a simple answer: An antecedent is a noun which is replaced by a pronoun. Sometimes antecedent stands for a group of words that act as a single noun. The most common is the use of it. For example: My new job doesn’t seem to get anywhere. Harry objects to everything, Marilyn passively shrugs, and Esther agrees without hearing the entire argument. It is chaotic. Question: To what does it refer? Logically and grammatically, it refers to the last-mentioned noun. Thus, Esther is chaotic. We can easily fix the problem with these words: The situation is chaotic. Do you have options or alternatives? I’m amazed that people have trouble over this one, but they do. Here’s the rule as simply as I know to phrase it. When you have several ideas on how to do something, that means you have options. If you have only one possibility, it’s an alternative. One expert says to think of the “o” in options as meaning one of many. What’s the difference between a while (two words) and awhile (one)? Here’s the rule: A while is an article and a noun and normally comes after the preposition for. When you use two words, you’re going to use a noun and refer to a period of time. Example: It has been a while since I saw you. You could substitute another article-noun, such as a month: It’s been a month since I saw you. If that makes sense, you’ve made the correct choice. Awhile (one word) is an adverb and means “for a short time.” Go dance for awhile—that is, dance for a few minutes. This bothered me for years, until I figured out that a while is a noun phrase. Many writers aren’t sure of the difference between among and between. Both are prepositions. Among always implies three or more; between refers to two people or groups. Another way is to use among when you refer to things that aren’t distinct items or individuals. Mary had to choose between Harvard and Yale; Yves chose among the universities in Massachusetts. Eldest or oldest? What’s the difference? Both words refer to those greater in age. The difference is that eldest can be used only to related individuals, such as, “Jack is my eldest living relative.” Oldest is more general and fits most situations. As a growing writer, I’m aware of correct word usage. Reflexive pronouns trouble some writers. Some, who don’t know grammar but try to act knowledgeable, often use sentences like “He gave the money to Maggie and myself.” The person should have said, “Maggie and me.” The incorrect usage is because the speaker probably doesn’t understand reflexive pronouns. Here’s the rule: Whenever we use a pronoun ending in -self or -selves, that form must point back (reflect) to a noun or pronoun near the beginning of the sentence. For example, Herb poured himself a drink. (Himself is correct because we know it refers to or reflects the subject, Herb.) I doubt that anyone would write this sentence: I poured a drink for Maggie and himself. I remain aware of reflexive pronouns. All ready (2 words) is a phrase that means completely prepared. We’ve finished lunch and we’re all ready to leave. Michael hooked up my computer so I’m all ready to start typing my manuscript. Already is always an adverb and refers to something that happened before a certain time. Doesn’t every American city already have the Internet? They have already eaten. The battle may already be lost but the one-word and two-word argument goes on. What about all right or alright? Two words was the standard, but for the past four decades, writers have increasingly opted for one word, alright. These days, I suggest you choose. I still use two words. I suggest you use two words when submitting for publication and if the publisher has decided on one, your editor will change it. and it’s not only all right to improve—it’s mandatory. In this series, I want to point out problems many writers face (and their incorrect usage). We’ll start with adopt and adapt. Most writers have no problem with adopt, which means to take something as your own. If your book is sold to the movies, the producers used to list the title and byline and then add, “adapted by . . .” (These days, they simply say written by and refer to the screenplay.) That means they changed the form from a novel to a script. Think of effect as a noun that means result. His raised eyebrow had the effect of silencing Grace. (Raised eyebrow brought about a result.) That’s the basic rule. There are deviations, but my advice is that when you have doubts use this simple mnemonic sentence: Action is affect; the end result is effect. I want to know the language well. This post from Dan Balow first appeared on the Steve Laube Agency blog. It's used here with Dan's permission. Every writer’s conference or gathering includes at least one presentation about developing or maintaining an author-marketing platform. Social Media, public speaking, blogging, newsletters…everything working together to establish and support your personalized and unique author “brand.” This agency and other publishing blogs address various elements of the issue on a regular basis. If you are having difficulty determining the direction of your author brand, you might either be thinking incorrectly about it or avoiding the obvious. Life hands you a platform. Often, creative people avoid the obvious and desire instead to go an entirely different direction than their experience would indicate. A simple desire to be creative can do this. Narrowing one’s work to one general theme seems restrictive and even creatively dissatisfying. Re-stating what has been said here and by many others, successful authors will primarily find their success by doing one type of writing…their one thing. A significant majority of authors will write and publish less than a half-dozen books in their lifetime, so unless you are extremely successful, you have just a few opportunities to speak into your brand. You can become so worried about being repetitive in your fourth and fifth books, you might not have a second or third. Life gives you a platform, meaning if you look at your experiences, journey, friends, family, work, education, challenges, successes, failures, strengths, talents, weaknesses, spiritual gifts, and sins (yes, sins), you will find a core message laying there which should drive your entire writing career, no matter how many books you might write. The mistake most writers make is thinking their brand must be so specific and narrow the joy of writing would be completely eliminated because you need to write the same book over and over. Branding is not limiting, it is liberating. A brand does not repeat the same story, but the same underlying theme. You might think life gave you just one story, but it really gave you a broader message. This broader message is what any skilled author can write about. You don’t write Christian fiction, you write stories about people living life in relationships and how God directs them. You don’t write devotionals or Bible studies, you focus a reader’s thoughts on the things of God and what he desires a person to know about him. You don’t write books about effective use of money, you show how God’s principles of stewardship make the things of this world work for one’s benefit and for God’s purposes. The “big” messages from Scripture are themes, which can be repeated and re-purposed in many books. These messages can make for elements of an excellent author mission statement and branded theme behind their writing. Most authors who resist the idea of branding their work do so because they mistakenly establish a brand, which is too specific, missing the bigger theme, which could find its way into many books. Finding the big-message brand for your writing should be relatively simple, if you are only open to seeing it. Your life and faith journey hand it to you on a silver platform. 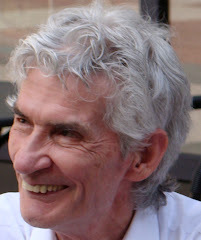 —Dan Balow is an agent with the Steve Laube Agency. This post is written by Steve Laube and is reprinted with his permission. This is actually quite typical. The publisher needs to have the manuscript in hand to know that it actually has been written. But don’t think the editor is sitting at their inbox, on the due date, with rapt anticipation of receiving your contracted manuscript. They manage their time in order to keep things in the queue and moving along. It can be very frustrating to wait. The key here is to be in communication with your editor. It is okay to ask! Or talk to your agent to see if they know if there is anything going on that is preventing that editor from working on your book. The new author is so excited about their new book that they want to start chatting about it the day after they turn in the manuscript. A great athlete or sports team wants to peak at the right time, never too early. The same with book promotion. If you begin tweeting and creating Facebook posts, without inventory online or in stores to back it up, the window of sales opportunity closes. “But e-books solve that issue because they can be ready today!” you shout. True. But don’t forget that a lot of people still buy physical books in stores, online, and off your back table at an event. The physical book is still alive and well and must be available if your publicity and marketing is to be effective. Do you have questions about ghostwriting or collaborating? 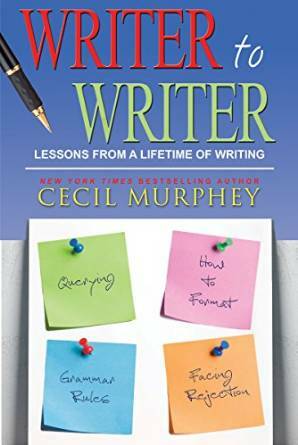 Cec's legacy book, Ghostwriting: The Murphey Method, is now available for pre-order. After working hard to get your proposal just right, we send it out to a select list of publishers. Then we all sit back and wait. It can take 3-6 months to hear an answer from a publisher. The longest our agency waited was 22 months before we received a contract offer. No kidding. Just shy of two years. [Both my client and I had already moved on, thinking the project was dead.] But that is truly the exception. I believe that if we don’t receive some sort of answer within four months it is probably not going to connect. That record was recently surpassed by a client who was contacted by a magazine asking to publish a poem she submitted twenty-six years ago… in 1990. You read that right. Evidently this magazine keeps great files and a new editor must have been going through the archives! Once terms are agreed upon, it can take quite a while to get the actual contract issued by some publishers. Many can take as long as two months to generate the paperwork. We once had to change the date of the contract because it had taken so long to create the paperwork that the due date for the manuscript was earlier than the actual date on the contract! This delay can be excruciating. Ask your agent what is typical for the specific publisher you are working with. That way your expectations will be set. This post is by Steve Laube and is reprinted with his permission. While there can be a lot of activity, it still feels like “time” is another word for “wait.” No one likes to wait for anything. Our instant society (everything from Twitter to a drive-thru burger) is training us to want things to happen faster. Business experts claim faster is better (see Charles Duhigg’s book on productivity Smarter, Faster, Better). Many years ago I wrote about how long it takes to get published, which gave an honest appraisal of the time involved in traditional publishing. Reviewing that post from half a decade ago reveals that nothing has changed! Why can’t agents respond faster? Don’t we just sit around all day and read? We try our best to reply to submissions within eight weeks and are relatively good about that. But if your project passes the first review stage and we are now reviewing your entire manuscript, remember that reading a full manuscript is much more demanding than reading a few pages in a proposal. If you are already represented, all I can say is that agents do their best to be responsive to your questions and phone calls. Crisis Management is part of our job description. Remember that one of the first things a First Responder must do is triage. Some issues are more critical than others, which can create consternation if yours is next in line instead of first. 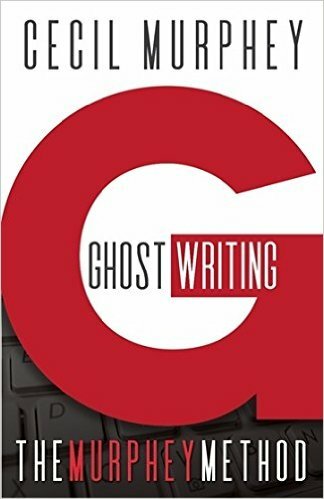 Are you interested in ghostwriting or collaborative writing? 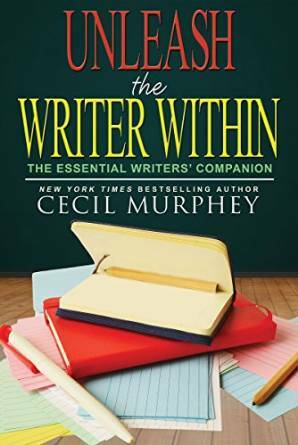 Cec's newest book for writers--Ghostwriting: The Murphey Method--is now available for preorder. The typical author, business owner, and non-profit director works a tireless schedule. Downtime can get pushed to the backburner, which leads to exhaustion, stress, and lowered creativity. Plan vacations now and make them sacrosanct. You’ll face this year feeling more relaxed knowing a vacation is on the books. Bulk sales provide more revenue with less effort. For example, if you speak at conferences, encourage the director to buy your book for every attendee. Provide volume discounts as the quantity goes up, or create a special version of your product unique to the customer, such as custom covers, exclusive content, bonuses, etc. Don’t view professional development or hiring outside expertise as an expense. View it as investing money today to make more money tomorrow. But, only take advice from someone who has succeeded at achieving your intended goal. If you want to increase your business acumen, you must increase your skills.